I recently ran into my neighbor, Meg Lynch, the founder and former owner of my neighborhood haunt Velo Rouge Café. A few years ago, she sold her business to pursue some personal projects. Namely her husband Adam and daughter Ella. 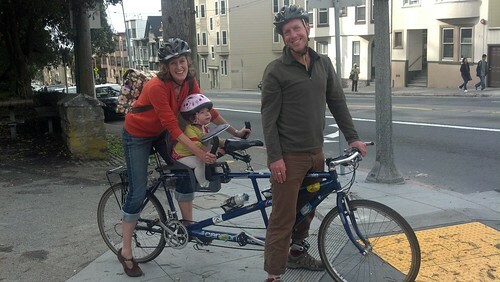 And how about this tri-tandem with a big girl seat for Ella when she gets a little bigger!? For now, that head rest for naptime along the ride is ingenious. 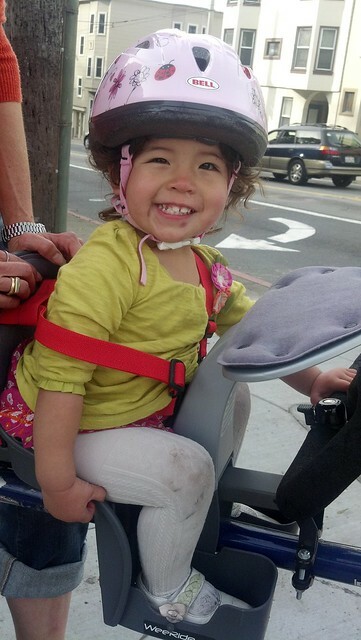 Hip hip hooray to another two-wheeled young lady growing up riding the streets of San Francisco with confidence!